Previous postMy Birthday present to me! Yay! Sounds gorgeous. You seem happy with it. Hopefully, worth the unpleasantness. HI Laura, You will die of pleasure playing it.. Like butter..
and in person so much different than on video.. We used a camcorder that has an inadequate mike. Can’t wait until your next lesson .. You will be playing it! 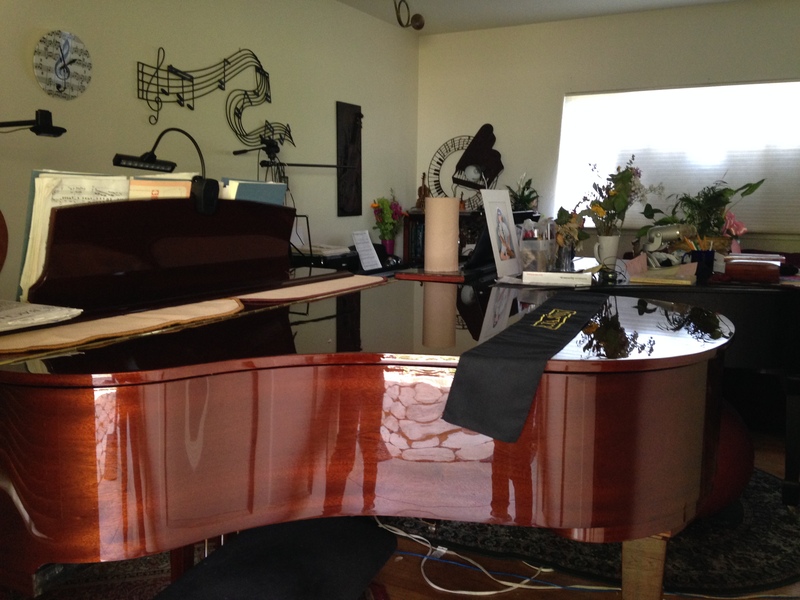 Wonderful looking and sounding new piano! You deserve an instrument of this quality – your playing is superb. Congratulations! Congratulations on your new instrument! What fun!